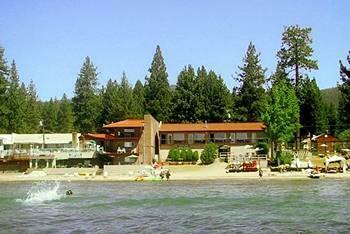 Features: Ferrari's Crown Resort Kings Beach Hotel is centrally located in Kings Beach on Lake Tahoe's north shore. 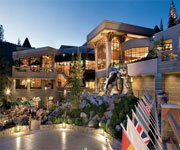 Northstar-at-Tahoe and Diamond Peak Ski Resort are nearby attractions to Ferrari's Hotel Lake Tahoe. 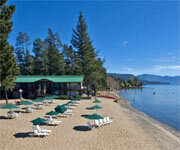 Ferrari's Resort Lake Tahoe sits on a private beach on Lake Tahoe, and is the perfect vacation resort for both summer and winter. 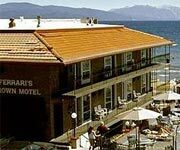 Why We Stay: Ferrari's Crown Resort Hotel Kings Beach offers comfortable accommodations and many included amenities for low nightly rates. 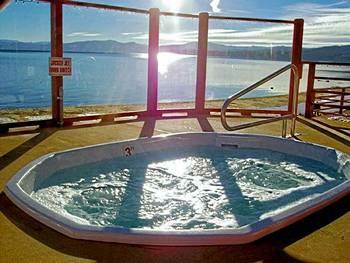 Property Amenities: Ferrari's Crown Resort Kings Beach Hotel has two hot tubs, two outdoor pools, a private beach and more for guests staying at the resort. 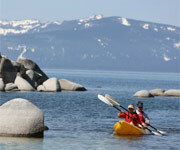 Nearby Attractions: Diamond Peak Ski Resort and Northstar-at-Tahoe are two nearby ski resorts and the popular casinos in Crystal Bay are just minutes away from Ferrari's Resort Lake Tahoe. 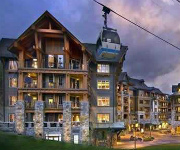 Discounted Lift Tickets: If you stay at Ferrari's Crown Resort Kings Beach Hotel during the winter, check out the discounted lift tickets offered to guests. Inside Knowledge: Ferrari's Crown Resort Hotel Kings Beach offers web-only specials to those who join their emailing list. 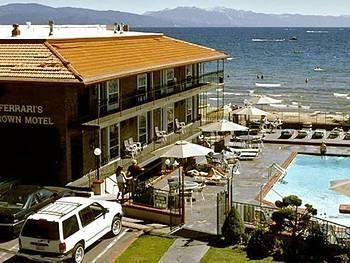 Do Bring Your Kids: Ferrari's Crown Resort Kings Beach Hotel provides reasonable family friendly accommodations on the north shore of Lake Tahoe. 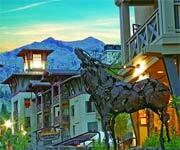 Do Ski: With the Diamond Peak and Northstar ski resorts so close, you can't miss the opportunity to ski when you stay at Ferrari's Crown Resort Hotel Kings Beach. Don't Go Hungry: Ferrari's Crown Resort Kings Beach Hotel offers a great complimentary breakfast every morning to guests. Don't Smoke: Please, don't smoke during your stay at Ferrari's Crown Resort Hotel Kings Beach, since it is a smoke free property. 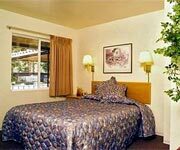 All standard rooms are basic, non-view accommodations and come in various options: single king, single queen, double/twin combo, queen/twin combo or two queens. All standard rooms come with complimentary wired and wireless high-speed Internet as well as satellite television service, phone with free local calls and voicemail, fridge and private bathroom. 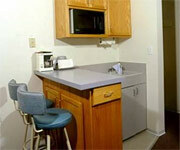 Some standard rooms include microwaves, kitchenettes, or full kitchens. 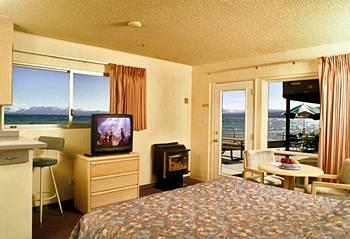 Lake view rooms come in three types: two doubles, two queens or a single king bed. 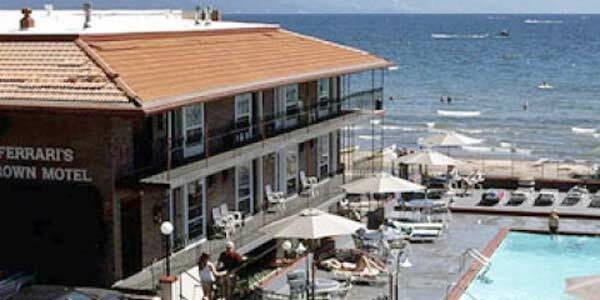 All lake view rooms also include refrigerators, microwaves, complimentary high-speed Internet, satellite televisions, private bathrooms and telephones with free local calls and voicemail. 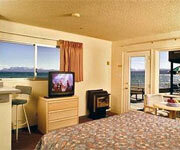 Most lake view rooms have kitchenettes and gas fireplaces and some offer a full kitchen. 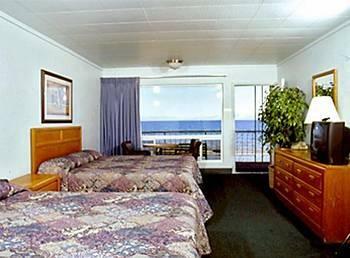 The lakefront rooms at Ferrari's Crown Resort are some of the most popular rooms available and come with either a single queen, single king, two doubles, or two queen beds. All lakefront rooms come with microwaves, refrigerators, coffee makers, and some have kitchenettes, full kitchens and gas fireplaces. 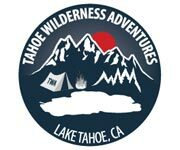 Other amenities included are free high-speed Internet, satellite television service, private bathroom and phone with free local calls and voicemail. The mini suites at Ferrari's Crown Resort come with lake views and are two bedroom units with either one king and two twin beds, or one king and one queen bed. 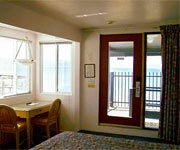 Some come with kitchenettes and gas fireplaces, and others just have refrigerators, microwaves and coffee makers. 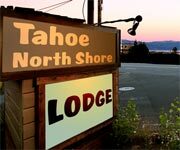 All mini suites include complimentary high-speed Internet, private bathrooms, phones with free local calls and voicemail, satellite televisions and beautiful views of Lake Tahoe. 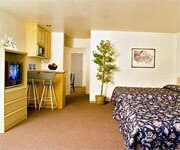 These larger two bedroom units come with either three queen beds or two queens and two twin beds. One comes with a full kitchen, and most have kitchenettes with microwaves, fridges and coffee makers. 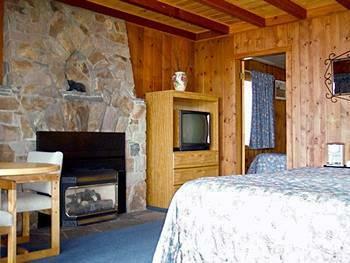 Most of the family suites also have cozy gas fireplaces. 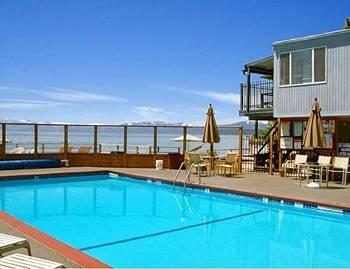 Other amenities include a private bathroom, free high-speed Internet, satellite television and a phone with free local calls and voicemail.